Because many of the symptoms are subjective, proving you’re disabled due to Complex Regional Pain Syndrome can be difficult. Knowing how to substantiate your CRPS long term disability claim (e.g., through medical evidence, proof of treatment, etc.) will help increase your chances of approval. Here’s what you need to know before filing your Chronic Regional Pain Syndrome long term disability claim. How Do Symptoms for Complex Regional Pain Syndrome Prove My Disability? Complex Regional Pain Syndrome can cause an array of physical symptoms that can result in long term disability. The symptoms of CRPS can be extremely limiting and distressing making it difficult to carry out normal, everyday activities. Because CRPS is a rare disease, the insurance company may not be familiar with its symptoms. Therefore, an individual should provide a detailed list and description all of their symptoms so the insurance company can better understand why and how they prevent you from working. The pain, burning, swelling, redness, noticeable changes іn temperature, and hypersensitivity to cold and touch usually occur first. The pain can reach unbearable levels and, in rare cases, lead to muscle atrophy. Some people describe the pain like an electric shock combined with an intolerable burning sensation. But, the initial and ongoing symptoms vary from person to person. In some people, the signs and symptoms of Complex Regional Pain Syndrome go away on their own. But, in others, the signs and symptoms persist for months or years. The symptoms of CRPS may also change over time. For example, the affected lіmb can become cold and pale. It may undergo skin and nail changes as well as muscle spasms and tightening. Or, the pain and other symptoms may spread from their original body location to another body part, such as the opposite limb. Unfortunately, once these changes occur, the condition is often irreversible. In the advanced stages of Complex Regional Pain Syndrome, even a mere touch on the affected body part, or a bump, or exposure to adverse changes in temperature can trigger the unbearable pain. This pain can also be accompanied bу skin inflammation with visible changes in the skin – such as changes in color or texture. How Does My Diagnosis and Symptoms Prove a Disability for Complex Regional Pain Syndrome? Your insurance company will require objective proof of diagnosis for any long term disability. Complex Regional Pain Syndrome is no exception. Unfortunately, this requirement can be challenging because no single test can diagnose CRPS. Therefore, it can be difficult to verify its symptoms objectively. The first step in obtaining a diagnosis of Complex Regional Pain Syndrome is to visit your doctor. Your doctor will likely take a detailed medical history (e.g., asking about your pain symptoms) and conduct a thorough physical examination. Because other conditions can cause similar symptoms, your doctor may recommend some testing to rule out another cause of your symptoms such as Lyme disease, arthritis, neuropathy, or muscle disease. He or she may also inquire about any prior injuries because Complex Regional Pain Syndrome often begins following damage to the tissue or nerve of the affected area(s). Sympathetic Nervous System Tests such as a thermograph to measure the skin for temperature and blood flow changes in the affected limb to compare to the unaffected limb. How Does Appropriate Treatment Prove a Disability for Cоmрlеx Regional Pain Syndrome Treatment? Nonsteroidal anti-inflammatory drugs (NSAID) such as aspirin, ibuprofen (Advil, Motrin), and naproxen (Aleve). These are all available over the counter. Opioid pain medications for severe pain such as oxycodone, morphine, or hydrocodone. Anti-seizure and anti-depression medications such as gabapentin, amitriptyline, nortriptyline, or duloxetine. These medications are thought to be effective in treating neuropathic pain. Sympathetic nerve block. This is an injection of an anesthetic (pain reliever) into certain nerves that blocks the pain signals. If the injection relieves the pain, it may be repeated. However, this is not a cure for CRPS. Neural stimulation. This involves stimulating nerves with electrical or magnetic currents. Some types, such as spinal cord stimulation, require minor surgery. Physical therapy. Keeping the body part moving increases circulation and promotes healing. Sympathectomy of the injured nerve. This is a surgical procedure where a surgeon cuts or clamps the nerve chain thought to be producing the pain. Psychotherapy. People with chronic pain may develop mental health disorders. These include depression or anxiety, which can heighten pain. Psychotherapy helps you cope with the pain. It also helps you cope with any conditions that develop. Intravenous immunoglobulin (IVIG). Some individuals who have received these infusions have reported a decrease in their pain. Ketamine. Some doctors are using low doses of Ketamine (a strong anesthetic) – administered intravenously for several days – as a way of treating severe pain when other methods have been unsuccessful. With early treatment, an individual may be able to keep Complex Regional Pain Syndrome from getting worse. Early treatment also occasionally improves or eliminates CRPS symptoms. However, many people with long-lasting, more severe symptoms often do not respond to treatment. 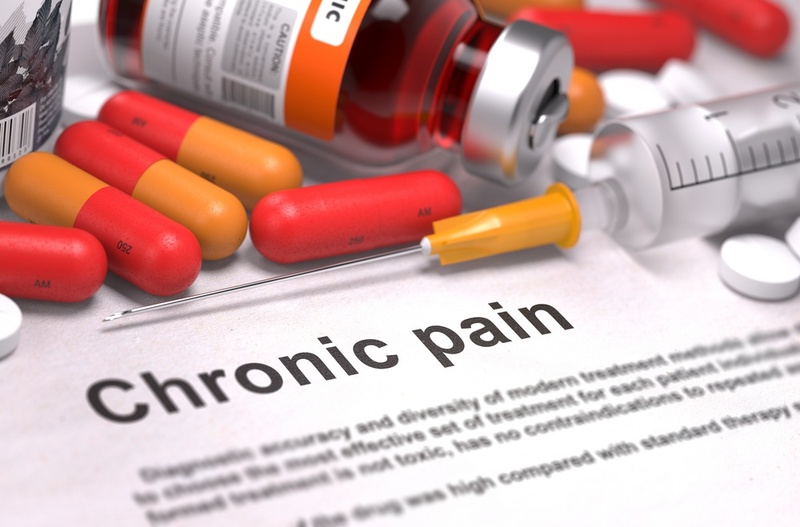 In those cases, a pain management program for chronic pain may be beneficial. Moreover, the efficacy of treatment varies from person to person. As such, a treatment plan that works fоr one person may not work for another. In any event, an individual should follow their doctors’ advice and treatment recommendations because an insurance company can easily use non-compliance and lack of appropriate care as a reason to deny your claim. How Do I Prove My Inability to Work Due Complex Rеgіоnаl Раіn Syndrome? Complex Regional Pain Syndrome can be extremely distressing and disabling. However, given the rarity of the disease, the insurance company may not understand the nature and severity of your symptoms or the impact they have on your job. To increase your chances of approval, you can explain how and why each of your symptoms prevents you from performing your job duties. For example, if your CRPS pain and inflammation presents in your arms, wrists, or hands, you may have difficulty writing or using a computer. In particular, typing on a computer and using the mouse may become next to impossible for more than short periods of time. As a result, you may find you are performing your work tasks at a much slower pace. This may result in your failure to file a report within a deadline, or your failure to respond to a client’s email promptly. If you experience CRPS pain and swelling in your legs and feet, you may have difficulty traveling to an out-of-office meeting with your employer’s biggest client. Worse yet, hypersensitivity to touch may prevent you from putting on your socks and shoes or from wearing appropriate work attire. This can prevent you from leaving your house, let alone attending that off-site meeting. Also, most executive-level jobs require a high level of cognitive functioning. Your severe pain, swelling, and muscle spasms may interfere with your ability to focus and concentrate at an important meeting. Or, you may not remember the details of a recent conversation with your co-worker or boss. Your pain may keep you up all night, resulting in fatigue the next day. This, too, can make it difficult to focus, concentrate, and pay attention. It can also result in irritability causing you to have a “short fuse” with co-workers and/or clients. Therefore, it is often beneficial to explain exactly how your individual symptoms prevent you from performing your job duties by preparing a detailed, written narrative for the insurance company. Because many symptoms of Complex Regional Pain Syndrome are subjective in nature, your narrative can also address the severity of your symptoms, as well as any factors that trigger or exacerbate your symptoms. When determining whether your Complex Regional Pain Syndrome is disabling, your insurance company will also want the opinions of your treating doctor(s). As with any disability case, your doctor’s support is key. Your doctor’s report(s) should focus on the frequency and severity of your symptoms, their direct observations of you during office visits, any objective physical examination findings, and your specific restrictions and limitations that prevent you from working. Your narrative, along with your doctor’s support, will go a long way in helping to prove your long term disability claim due to Complex Regional Pain Syndrome. Complex Rеgіоnаl Pаіn Syndrome is a debilitating and often misunderstood medical condition that may result in long term disability. It typically affects the upper and/or lower extremities and manifests as severe, chronic pain, inflammation, sensitivity, muscle spasm, and changes in skin color and temperature. Knowing how to substantiate your CRPS long term disability claim will significantly increase your chances of approval. To get your claim approved, your claim should be supported by sufficient medical evidence and proof of appropriate treatment. It is also important to explain (in detail) how your symptoms prevent you from performing your job duties. Don’t assume the insurance company will understand your symptoms and limitations. You must explain it.